This entry was posted in Classes, Essential Oils, Marketing Material, My Oily Notes, PSK, YL Classes and tagged Essential oils, Marketing Material, My Oily Notes, PSK, The Oil Posse, Young Living on March 7, 2018 by Jordyn Lei. 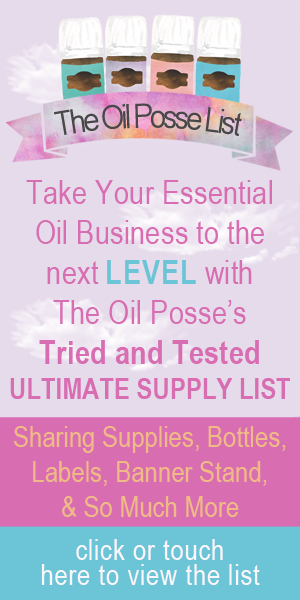 This entry was posted in Animal Scents, Animals, Classes, Marketing Material, My Oily Notes and tagged Animal Scents, Essential oils, My Oily Notes, The Oil Posse, The Oil Posse Team, Young Living on January 12, 2017 by Jordyn Lei. Sometimes you just need a simple page for taking notes . . . by request we present to you a simple, basic — but cute and fun — notes page. Enjoy! This entry was posted in Daily Planner, DIY, Lifestyle, Marketing Material, My Oily Notes, Planner, YL Planner and tagged 2016, ARC Notebook System, diy, Essential oils, Marketing Material, My Oily Notes, Notes, Organizer, Planner, Printables, Staples, The Oil Posse, The Oil Posse Team, Young Living on May 31, 2016 by Jordyn Lei. Here is a wonderful resource you can use during your “Oils of the Bible” class. All twelve oils on one page. Download the PDF file found beneath the preview photo below. Please do not alter this in any way. No one has permission to sell this document/photo or profit from it in any way. You may share this resource but please share it as a link back to this page, only. Please do not take the photo and post it without the corresponding link. Please respect the work we provide to you at no charge. Thanks so very much. Click/Touch here to download the PDF file for this resource. This entry was posted in Classes, Marketing Material, My Oily Notes, Oils of Ancient Scripture, YL Blends, YL Classes and tagged Essential oils, Marketing Material, My Oily Notes, Oils of Ancient Scripture, Oils of the Bible, The Oil Posse, Young Living on March 12, 2016 by Jordyn Lei. This is a wonderful class tool to use for those teaching how to live in a natural home. The last page is left intentionally blank so you can feature other products that may benefit those attending your course. This entry was posted in Classes, DIY, Family, Lifestyle, Marketing Material, My Oily Notes, YL Classes and tagged Essential oils, Living Naturally, Marketing Material, My Oily Notes, The Oil Posse, Young Living on March 1, 2016 by Jordyn Lei. This entry was posted in Classes, Essential Oils, Marketing Material, My Oily Notes, PSK, YL Classes and tagged Essential oils, Marketing Material, My Oily Notes, PSK, The Oil Posse, Young Living on February 25, 2016 by Jordyn Lei.